Khaki t-shirt with the world "Ireland" to the front. Khaki t-shirt with short sleeves and round neck. 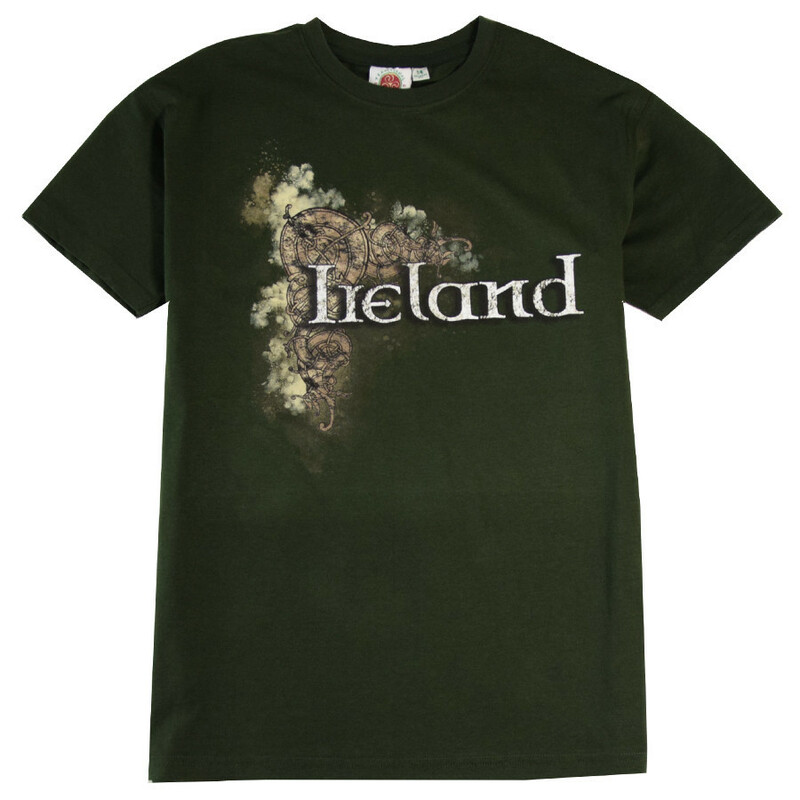 There is a Celtic design with the word "Ireland" on the front.